One thing I miss about being a grad student – I spent a lot of time reading! Since I got married and got a job, my reading time has gone way down, especially for fiction. That said, I’m making the effort to find time to read. This past year I also picked up an induction loop (which lets me stream sound from my phone to my cochlear implant), letting me listen to audiobooks during my commute. So here are the books that I enjoyed in 2015, roughly organized by type. Most aren’t new, and some aren’t even new to me; they’re just books I read in 2015 and liked enough to mention. I wasn’t familiar with John Sonmez until I ran across this audiobook last year, but decided to give it a shot, and was glad I did. John has a good reading voice, and the book was interesting all the way through, even when I didn’t agree with him. This book isn’t about technical skills; it assumes you already have those. Instead, it’s about using those skills to get what you want. John discusses topics like how to start freelancing, specializing as a developer, creating and selling products, and becoming more productive. The book covers a lot of ground – over 70 short chapters – so it obviously doesn’t get too in-depth into any one topic, but it has a lot of good general advice, and the writing/speaking is good enough that I enjoyed even the topics I was already familiar with. One problem I had with the book is there are a lot of url references, but no easy way to find them again at the end of my commute. I wrote to the author about this a few months ago and was told he intends to eventually make them available on his website. I somehow managed to avoid picking up a copy of this classic book on software development until last month, when I get it for Christmas. I haven’t finished reading it yet, but I can tell it’ll get a 5-star review from me; unlike many technical books, it’s actually fun to read. Simply put, this book teaches you to write good code. Good code, in this case, being defined as code that’s easy to understand and without bugs. 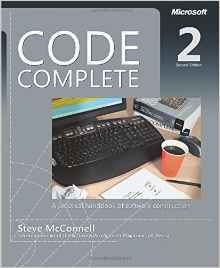 Over the course of some 850 pages, Steve covers best practices in many areas of software construction that lead to code which is easier to read and maintain. For the most part, this is stuff that I learned in school, but it’s a great refresher and has taught me a thing or two. I would have liked it if there was a third edition of the book – surely software development must have improved somewhat in the last decade? – but I can still tell that this will be one of my most highly recommended books. It’s not difficult to find parenting advice; a search for parenting on Amazon returns nearly a quarter million results. 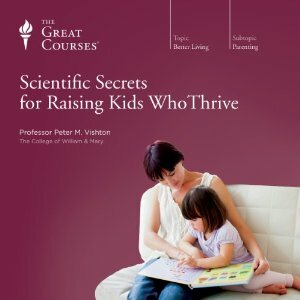 But what does science have to say about child development? In these lectures, Prof. Vishton covers the research on everything from bedtime to homework, number chains to video games. When so much parenting advice boils down to “this is what worked for my child”, it’s nice to see evidence-based recommendations. I found the book both entertaining and educational and expect to listen to it again. The audiobook also comes with a 226-page course guidebook that covers the contents of the lectures and gives suggested readings and resources. How do you express love in a way that the other person will understand? Dr. Chapman has a number of books about the way people express and receive appreciation through what he calls the five love languages: Words of Affirmation, Quality Time, Receiving Gifts, Acts of Service, and Physical Touch. I haven’t read any of the others, but decided to give this one a listen; it’s a mix of stories about how speaking a child’s love language helped to reach them and tips on how to speak each language yourself. What I liked was the part about how we sometimes talk past each other because we’re trying to express love in the way that we want to receive it, or the way that we’ve seen it expressed in the past, rather than the way that our partners or children need. I used to have a number of books by Robert Asprin and this is one of my favorites; it’s unfortunately out of print but used copies can be found very cheaply. This is the first book in the very funny Phule’s Company series, about a group of military misfits, shipped off to easy duty in the backwoods of the galaxy to keep them out of the way. When Captain Willard Phule needs to be discretely punished – he is, after all, the megamillionaire sun of the man who supplies the Space Corps with most of their weapons – he’s assigned to command them. Of course, Phule takes his job seriously, and isn’t above dipping into his fortune as he molds his men, women, and aliens into an effective fighting force. If you can’t stand puns and want your science fiction to stay serious, avoid this book. Otherwise, dive in! Somewhat of a cross between an autobiography, a book of career advice, and a humorous self-help book, this one was actually way more interesting than I thought it would be, and the audiobook was narrated well. You’re unlikely to agree with everything Scott has to say, but it will at least be entertaining, and those people looking to start a business may find his advice quite helpful. I’ve always been interested in economics, but scheduling kept me from studying the subject in college. In Economics, Prof. Taylor covers the fundamentals, including both microeconomics and macroeconomics, while in Unexpected Economics he applies economics to questions you might not have considered to be part of this area. I found Prof. Taylor to be an engaging lecturer and am in the process of listening to his audiobooks for the second time. When I was a kid, I always wished I could afford to buy some of the big Lego sets; I particularly loved the Space Police / Blacktron / M-Tron Legos. Unfortunately I never had the money; then, once I started working and had the money, I never had the time! In the last few years, I’ve made the time to do a little building; I recently completed the new Doctor Who set (which is awesome), and my wife and I have almost finished building the Tower Bridge. For the last decade, I’ve also make a few bucks buying Lego sets on sale and then reselling them after they’re discontinued. 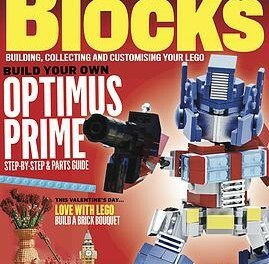 Blocks magazine covers all aspects of collecting, building, and investing in Legos; as a British import it’s not cheap, but it’s worth the cost. I only learned about it a few months back, and have been picking it up whenever the latest issue shows up at Barnes & Noble; subscribers also get a free zombie postman minifig after the first year. 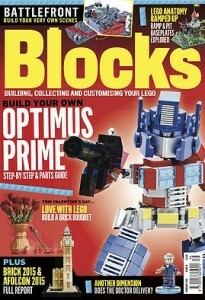 The book, on the other hand, is all about Lego sets as investments. I have my own investment strategy, but I picked up the book for fun; it talks about a lot of sets from the past few decades and how they’ve appreciated over the years, which is interesting even when it’s not useful. This is, of course, a children’s book, but one that is meant to be read – aloud – by an adult. The theme is that the adult is tricked into reading the book full of silly words, and all words in the book must be read, no matter what. It’s absolutely hilarious, and demonstrates to kids that books don’t need to have pictures to be a lot of fun.